Choosing sport specific shoes can reduce the likelihood of injury. 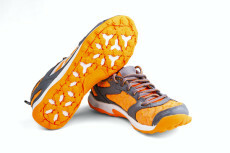 There is wide variance in terms of stability, support, cushioning and even the weight of athletic shoes. 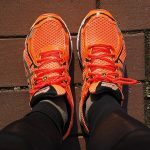 According to the American Orthopedic Foot and Ankle Society (AOFAS) it is worth it to invest in sports specific shoes if you engage in a particular sport at least three times each week. Here are some things to look for depending on your fitness activity. Sports like tennis and basketball require a lot of side to side as well as up and back movements. 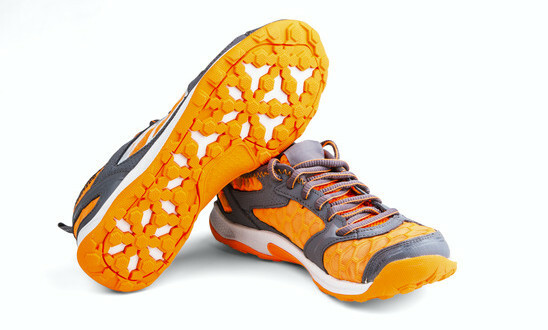 This range of movement requires a shoe that offers stability and a good sole to stand up to intense use. Running, essentially an alternate foot hopping motion, can put a lot of stress on the joints. 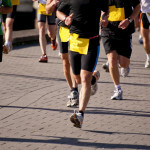 A good running shoe provides shock absorption to minimize damage and maximize comfort. The shoes should also fit snugly on the heel for better control. Look for shoes that have plenty of room in the toe box. Ideally, you should be able to move all of your toes freely. Opt for lightweight shoes with rounded soles that offer support for the heel and ball of your foot. 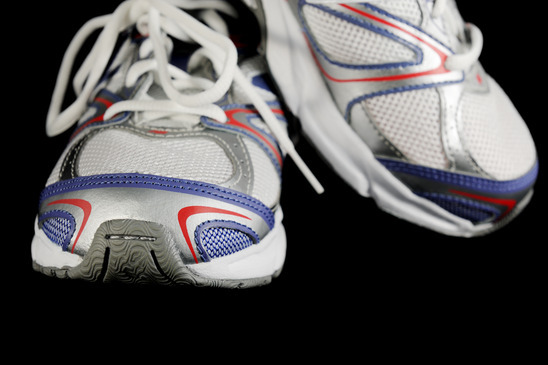 Cross-trainers combine the benefits of a couple of kinds of sports shoes. This flexibility allows you to comfortably transition between activities such as running and tennis. There are endless options available and when it comes to athletic shoes there is definitely no such thing as one size or style fits all. Rather than choosing from the best ad or pitchman to determine the right shoe for you, consider consulting with sports specialty store staff if you practice your sport regularly. You would also do well to get expert advice if you have concerns such as over pronation, weak ankles, bunions or shin splints. Be sure to try many styles and brands, then walk or run a few yards in your shoes to make the best choice. The shoe should feel comfortable from the beginning. According to AOFAS, athletic shoes should not be subject to a breaking in period. The Society further advises that you have feet measured after exercise or at the end of the day when they are larger so you get a more accurate fit. If that isn’t possible, talk with staff to determine if choosing the next size up from your measured size is a good option. With so many options for buying, including online, it can be tempting to buy without advice. Unless you are buying a brand and style you have tried previously and know is right for your foot and sport – head to the store. Comfort and stability can impact performance as well as the potential for injury so good advice is worth any additional expense. Customized Fitness for the Baby Boomers Out There!